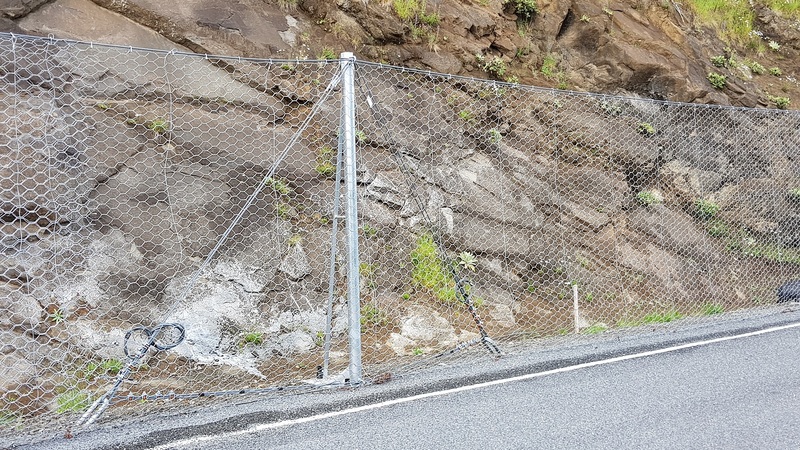 Geofabrics range of Maccaferri rockfall drapery systems are designed to control rockfall movement by guiding falling debris to a collection point at the toe of the slope thus protecting structures from debris damage. Protections of roads, buildings and other structures located directly at the toe of man-made cuttings or natural cliffs are a major challenge for engineers. Falling debris and rocks can be due to rock formation deterioration caused by plant action, thermal expansion, winds, cold and thaw, hydrostatic pressure and seismic action. Maccaferri double-twist wire mesh is the ideal for use in the manufacture of drapery of rockfall, due to its flexibility in all directions, and to the fact that it will not unravel, even in the event of some wire breakage. It also does not inhibit the regeneration of vegetation allowing the slope to return back to its natural state after repair. 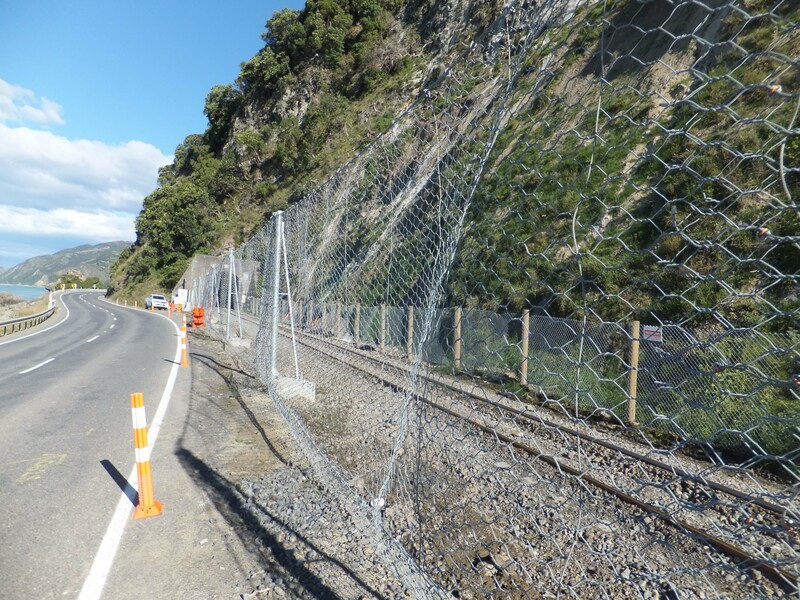 Maccaferri Rockfall Netting is typically used in both simple drapery systems and in a variety of specialist geotechnical and engineering applications including slope stabilisation, rockfall protection and surface protection applications. Double Twist steel wire mesh is a highly efficient mesh combining ease and flexibility of use with unsurpassed cost-effectiveness. Used around the world for over 60 years, Maccaferri rockfall netting mesh is proven to offer robust, long lasting and cost-effective rockfall protection. On moderately steep slopes, or those where some vegetation may grow, the mesh should be kept as close to the slope as possible. On very steep and/or near vertical slopes, the net must be anchored at the top of the cliff, and left unanchored at the bottom, thereby allowing rocks and debris to fall into a collection ditch at the toe of the slope. A key factor is to have a safe and continuous anchorage at the top. Talk to our team about installation methods and referral to expert installers for your project.